Australia Post has launched a Christmas commercial featuring several employees delivering packages and titled “Delivering Christmas at Australia Post”. “With Christmas just around the corner, we’re all set to deliver. Our committed team has been working all year to make sure we delight our customers and give you the best customer service experience yet.” – the voiceover says in the 30-second spot, concluding that they are all set for the busy Christmas period. 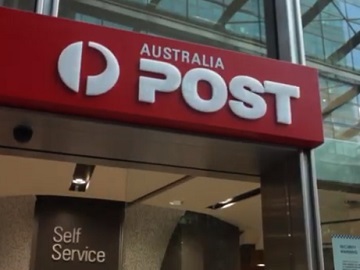 On the auspost.com.au/christmas page you can find out that some of the Post Offices will extend their weekday trading hours from 26 November until 21 December, and also they’ll have extra support in the air, on the road and in their facilities to get your parcels where they need to be this Christmas.